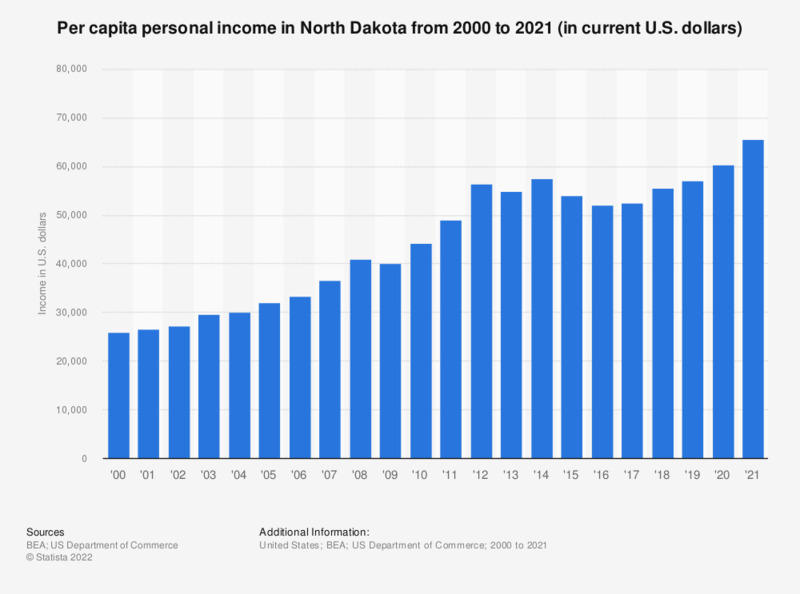 This statistic shows the per capita personal income in North Dakota from 2000 to 2018. In 2018, the per capita personal income in North Dakota was 54,306 U.S. Dollars. Personal income is the income that is received by persons from all sources.